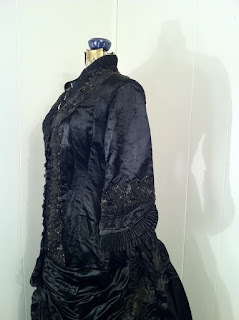 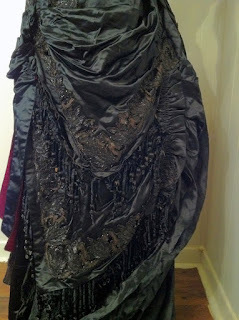 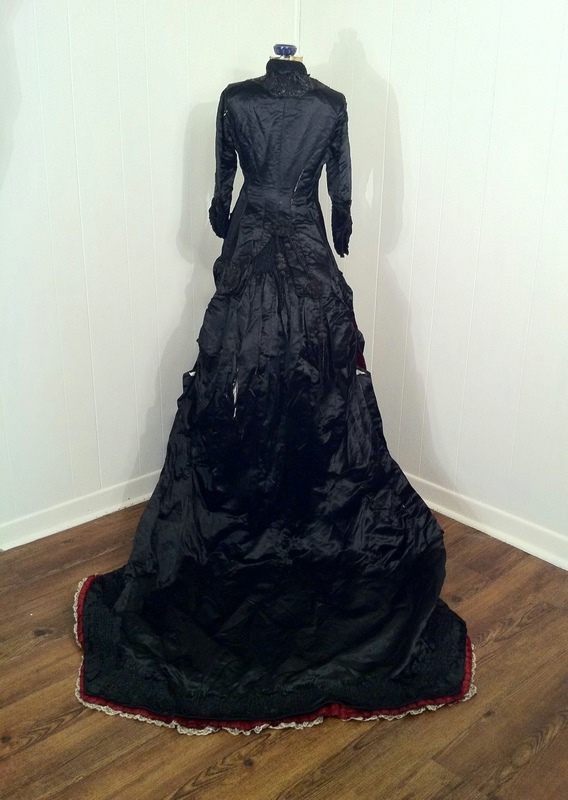 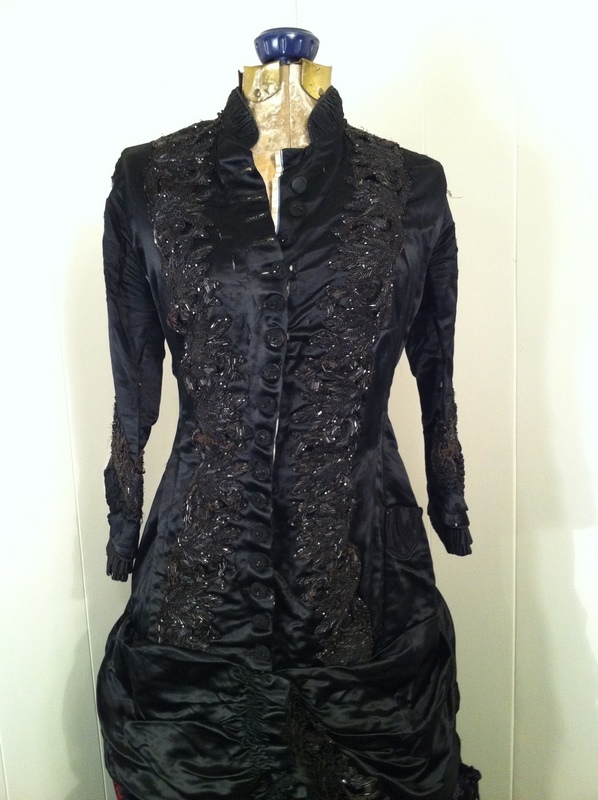 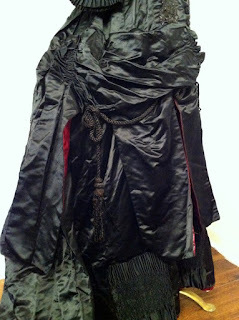 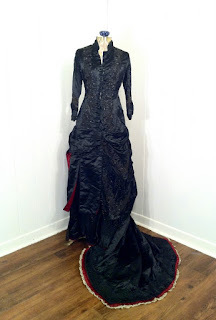 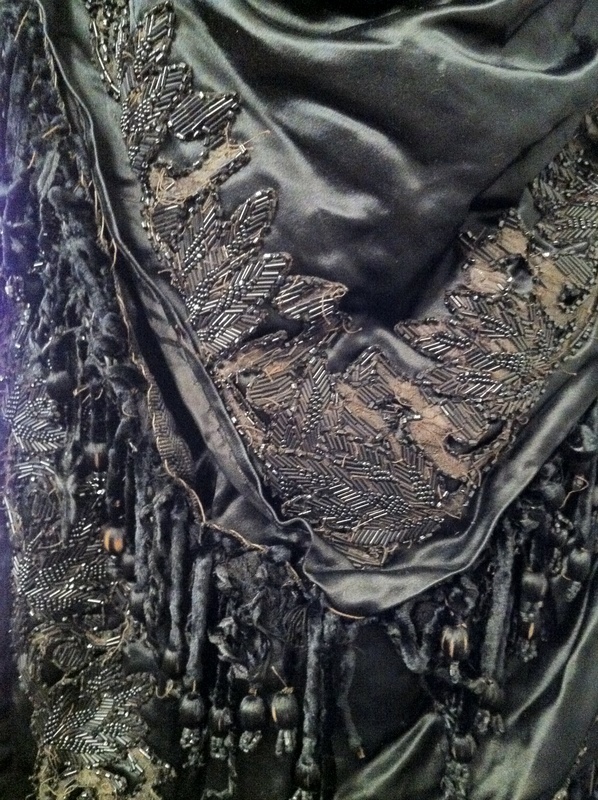 A beautiful black silk antique 1880s gown with long train and red silk accents. It has a few condition issues, but it still a stellar garment! 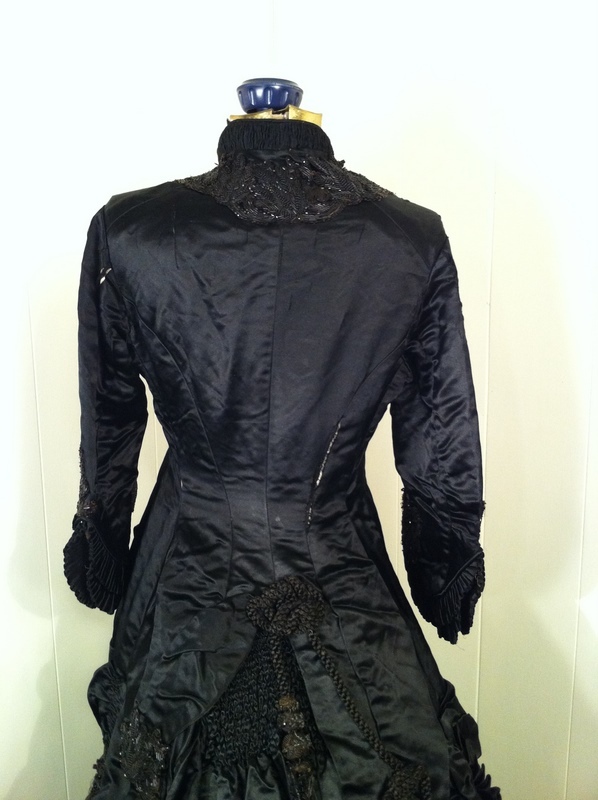 Fully lined in cotton with corsetry, the undercarriage is not included for the back bustle. 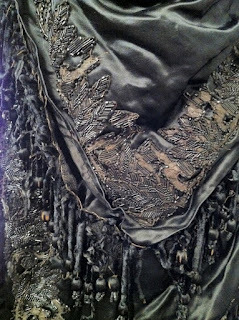 Heavy weight silk, fabric buttons, intricate beadwork, cords and tassles. The end of the train is pleated with red trim and lace underneath. 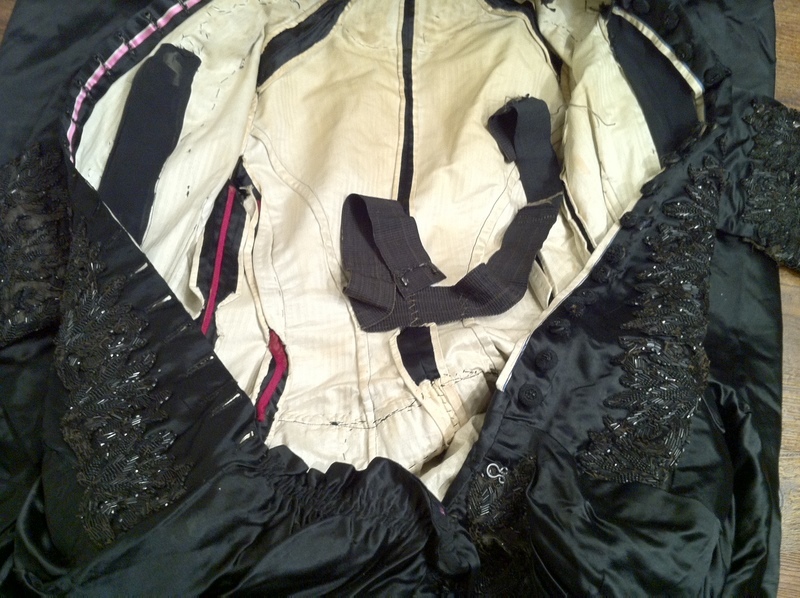 A medium to small size. 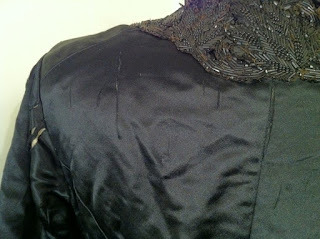 The fabric is weakened in many areas, particularly at the shoulders. 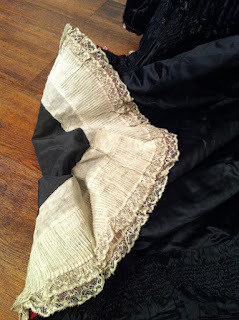 Splits in the fabric can be seen across the back shoulders, along a few bodice seams and in the skirt. 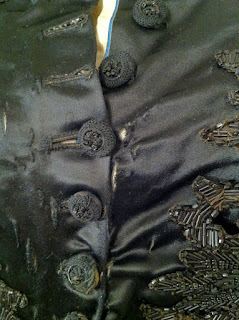 Many beads are missing, even on the tassle ends. 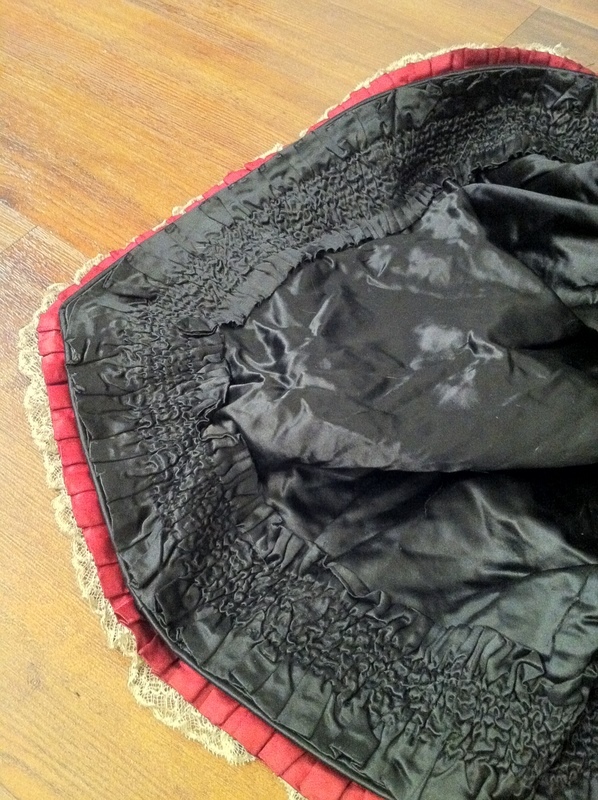 The lining is slightly yellowed. 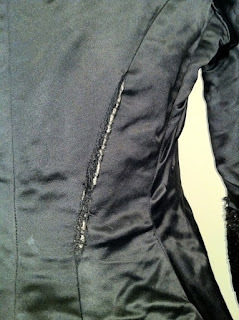 This is a very heavy garment, care must be taken when handling. 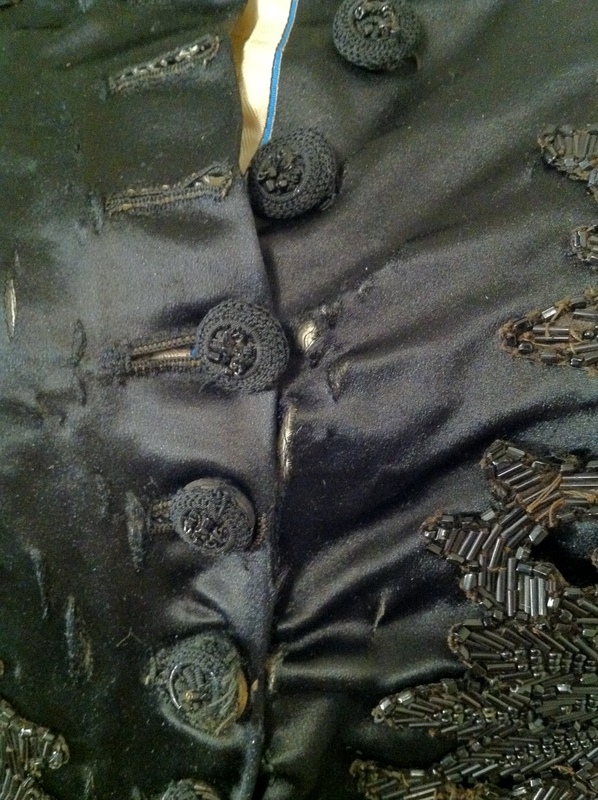 No odors, but it will need a cleaning by a trained conservator. WANT! NOW! 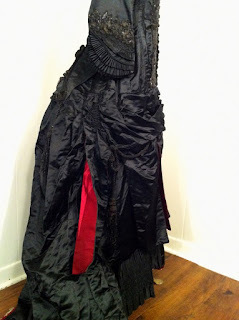 That splash of red on this already stunning gown just makes it delectable.